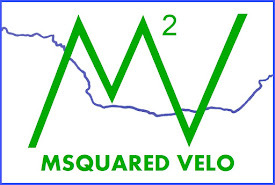 MSquared Velo: Day 28: Crossing the Mississippi River Like Lewis and Clark... They had bicycles right? Day 28: Crossing the Mississippi River Like Lewis and Clark... They had bicycles right? Alriiiiiight. Someone is posting after only a days ride! And what a day it was! 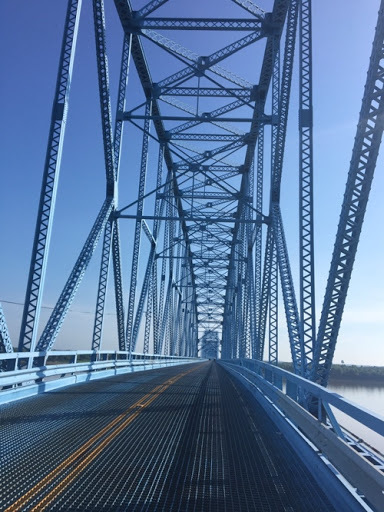 We left our motel bright and early (for us) at around 8 AM and rode on a metal grated bridge over the Ohio River into Illinois, my 8th state. 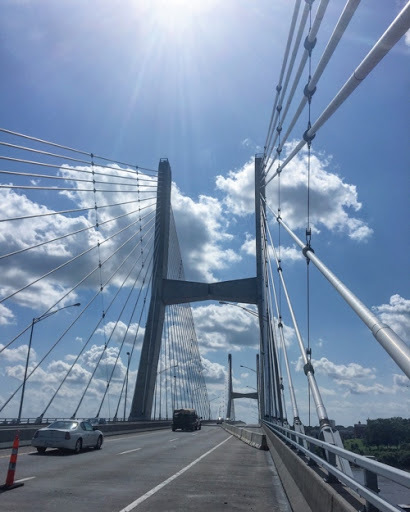 The bridge is an old truss bridge that was skinny and baby blue... I like it, it had character, not unlike the three of us. We continued 10 miles to McDonald's for the most important meal of the day... Dollar coffee. After spending too much time there we headed out for the next 90 miles with full water bottles. We were straight crushing through the first 35 miles of Illinois. 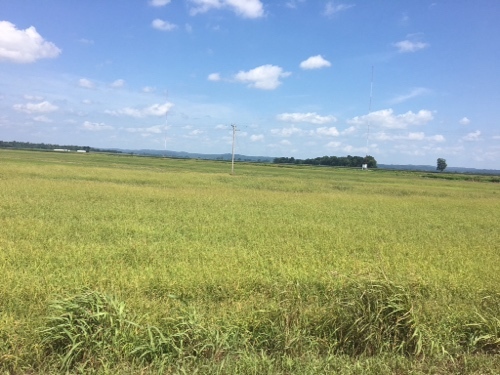 The farms are getting bigger and the land is getting flatter. Among the many new and giant tractor things we saw today, we spotted a helicopter in the distance flying really low to the ground. Thinking nothing of it we rode on. As we neared we saw the same helicopter take a drastic 180 degree turn and look like it crashed just below the tree line. We freaked out and sprinted towards it, but we weren't seeing any smoke... That is when we saw the helicopter darting across the corn fields spraying fertilizer. Just another routine day in this guys life whipping his heli around... Farming... (See snap chat for the video). We hit the 45 mile mark and made a pit stop. Of course, it being Sunday, everything is closed and there was not a gas station in sight. We grabbed some soda from a vending machine but really needed to fill up a few empty water bottles. Unfortunely no luck. We pressed onward. 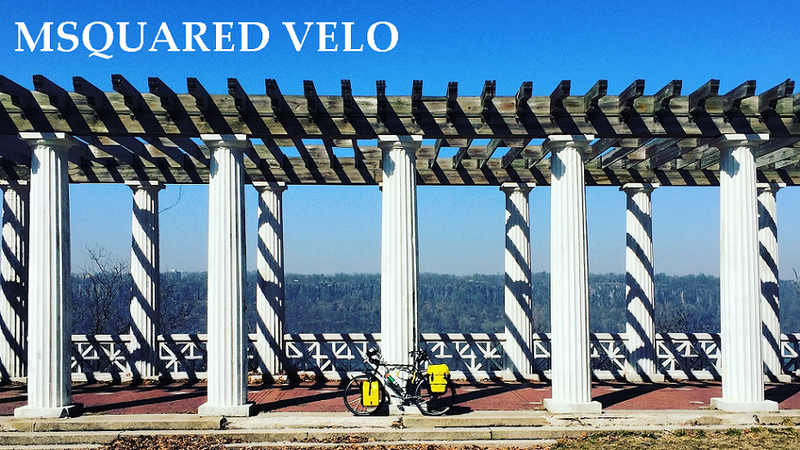 Now I could spend the rest of this blog telling you about how we got lost in a maze of gravel roads (thanks google (we're still off the Transam route)) and struggled our asses off with almost no water or shade in the high heat and humidity of Southern Illinois. Instead I'd like to fast forward to the important stuff. 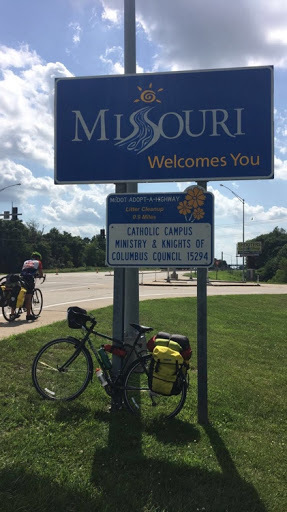 We made it across the Mississippi without a drop of water left and entered Cape Girardeau, Missouri; my 9th state. We also made it to a restaurant, chugged six 30 oz glasses of water and had some Po' boy sandwiches, fried cod and a mound of bacon cheese fries. Oh and of course ice cream. Happy National Ice Cream Day. My new favorite day! This is the stuff you've heard a few times before. We bike and we eat, it's what we do. What I want to emphasize is that once again, the people of this country are more kind than I can get a grip on. It is important, when doing a trip like this, to talk to everyone because that is when you experience real moments with real people. It is also important to trust your judgment and gut. Like last night in choosing to pay for a motel when we may have been able to find a Pavillion to stay under. We just did not feel comfortable, and that is okay! But just like two nights ago, day 26, we reached our destination and loved the town; a small college town, home of the Southern Missouri State University Lions. 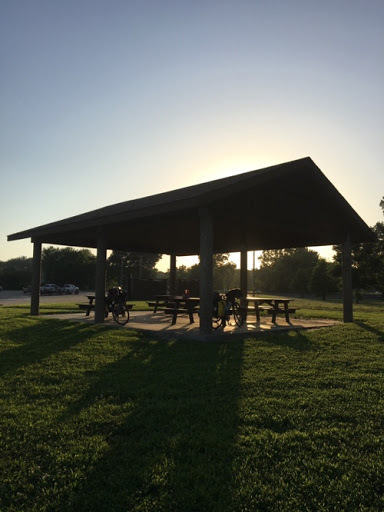 So we went hunting for our newest pavilion. We found a gorgeous spot right on the Mississippi River and were hopeful we could stay here peacefully and watch the sunrise over the river in the morning. The sunset was already casting a beautiful glow over the ripples of the water. However, Mike saw a sign that said no camping so, at 7:30 we started making our best efforts for a new site. This included calling the sheriff and local fire department for any advise. As Mike did that, Ryan was speaking with a man named Dennis casually walking his dog along the river. As all conversations lead to our travel plans, Ryan mentioned we were looking for a new spot to camp and what do you know... Just like two nights ago, Dennis invites us to stay at his home only a few blocks away. Always a little hesitant, we made our way to his house to at least see what we had in store for us. Upon turning into his driveway we met his wife Karen who was open arms immediately. Still unsure of our accommodations we all parked our bikes in their garage and lugged all our stuff into their home, sleeping bags too. 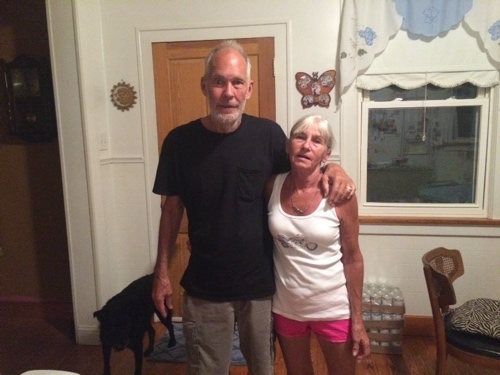 Dennis and Karen showed us the basement which included one futon and two pull out beds, pointed us to a shower, washer and dryer and then brought us back upstairs for tuna salad sandwiches, every single slice of fruit in their fridge, soda, chips and cottage cheese. 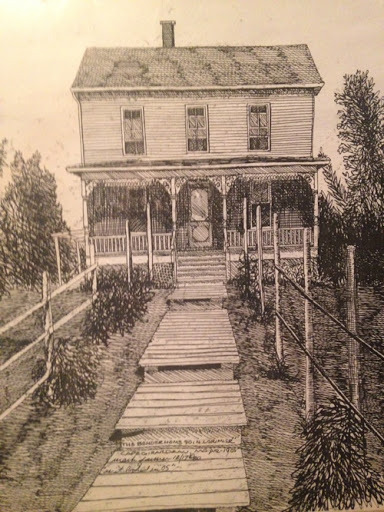 Karen, like most hosts, apologize for their quarters, but this gorgeous house built in 1905 is another beautiful memory to add to this story. Even after a grueling hot day when we wanted to travel 100 miles, but got bogged down and stuck at 70, Mike, Ryan and I continue to present ourselves with a smile and cheerfulness and that is exactly what we receive back every time. No, not just here in the middle of the country but it has been happening since day 1 when I was crossing the West River from Manhattan to New Jersey. Despite the fact that what we are doing is unique, it is so obvious that people are happy to share a meaningful conversation with one another every day. I can't speak for everyone, but I feel we sometimes, or a lot of times, find ourselves rushing to mark off the next item in our checklist or bury ourselves in our living room to binge watch The Office... Or don't even get me started with PokemonGo. Each day there is so much time to slow down and talk to the person next to you and share a smile with them. I bet sharing a simple moment like that could change their day, and I can guarantee you will both remember it the next day. Maybe not the words, but definitely where you were and how it made you feel. Ok, ok... So this is the cliché post. Dennis and Karen are the straw that broke my back. But it has been everyone up to this point who has been so willing to free up a night of their lives or even a minute in their time to make Ryan, Mike and me feel comfortable or even just to return that smile. The people have made this trip worth taking even if all I saw was corn for the rest of the way. Dennis took us in without a second thought and showed up at his home to his wife with us three towing behind. There was no hesitation from Karen either as she showered us with food and kindness ruining any plans they had for their Sunday evening. Before this trip I couldn't imagine anyone doing this. With all the hate and murder we see on the news, I think this is the perfect reminder that there are millions of wonderful, warm hearted people out there ready to share a smile. Speaking of all this goodness, if you have been enjoying my blog or snapchats, please show your support by donating to the Alzheimer's Association through the link at the top of the page. This ride is in honor of my grandmother who suffered from the disease, someone who I was never able to share enough of my smiles with. Any amount, even a dollar means a lot to me. 100% of your donation goes straight to Alzheimer's research, support and awareness. A special thanks to all of you who have already donated. I really do mean it when I tell you it means a lot to me and my family too. If you have not seen a personal email from me, expect one soon, I am doing my best to keep up, but want to make sure your are properly thanked! There are still a lot of good people in thus world and I expect you will meet more as your journey continues.